Thank you Del Mar High School for allowing us to use this incredible venue….really nice. There was a bit of confusion about this event when we first shared it. Some thought the WNAC already had a specific development proposal on Del Mar…that isn’t the case. While we do think there is a great opportunity to explore this, the purpose of this Forum is to look at what other places are doing, have a discussion on the use of public lands, and see how we can help support our educators, supporting staff, and our community. This is the beginning of the discussion, not a project review…there is no project yet! Silicon Valley innovates everything technical, but we rarely think to innovate our land. Buildings and land uses are the very things that create our quality of life and the vibrant things we do locally. Applying that innovative spirit to land use is critical to placemaking, creating great buildings and public spaces that engage everyone. 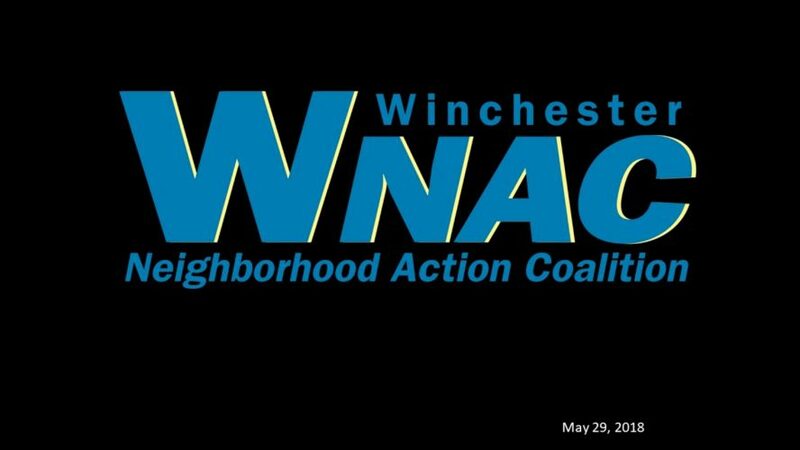 Ensure quality of life and economic development in the Winchester region through innovation. So innovating land use is right in the sweet spot of our mission. And this leads us right into the topic for this evening: looking at opportunities to innovate our public lands. District 6, City of San Jose Councilmember Dev Davis provides an enthusiastic welcome to attendees to the Teachers Village & More Forum at Del Mar High School. Thanks Councilmember for your great welcome. CA Senator Bob Wieckoski provides opening comments to the May 29th, 2018 Teacher’s Village and More Forum held at Del Mar High School. He echoes one of the themes of the forum when he suggests that there will be multiple solutions to our housing crisis. He touts SB831, which further reduces restrictions on Accessory Dwelling Units, as one of those solutions. He talks about his support for SB1413, a 2016 law which empowers and provides school districts tools to help create housing options (e.g. campus housing) for its employees. Thanks Senator Wieckowski for your opening comments at the WNAC forum! A few housekeeping things. I hope everyone received a program for tonight’s event. It has the speaker biographies, references to articles about tonight’s topic and the beginning of story that is fiction but is reality-based. More on that in a second. First, let me hear a big round of applause for the volunteers from the Del Mar PTSA and Del Mar Dons Sports Booster Club. These parent and students have done an astounding job of feeding us and keeping us organized. Heck, they do a great job all season and school year long. As it turns out, the public high school for the majority of the WNAC area is Del Mar and I am proud to be part of the great Del Mar Community. The reason we are here tonight is that, in January, I noticed that the South Bascom Urban Village Plan did not include Del Mar, even though it is literally across the street. As background, according to the City of San Jose’s web site, Urban villages are “walkable, bicycle-friendly, transit-oriented, mixed use settings that provide both housing and jobs, thus supporting the General Plan’s environmental goals. The preliminary South Bascom Urban Village Plan reminded me of the input I had submitted to the school board about a year ago suggesting that the school district explore the idea of adding housing as part of its remodel plans. This time, I followed up with a more comprehensive white paper and story, which led to a meeting with the school superintendent. He had some great questions and the idea for a forum was hatched to address those questions. One of the exercises I did was to look at all the Campbell Union High School properties and compare there locations to the Urban Village Plan. It would make sense to do this for all the public properties to see where there might be opportunities to better utilize publicly-owned lands and create opportunities for housing. We have an amazing speaker line-up with diverse points of view and a broad range of expertise. Hopefully, this forum will provide a spark that will help us create better stories; stories like the one written at the end of your program.